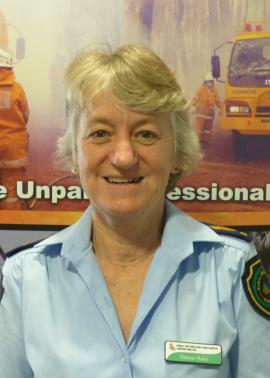 I have lived in Emerald area since 1980, and been part of Iona Rural Fire Brigade since 2000. I took on the role as Secretary in 2000 until 2004 and we raised enough money to buy a second hand light attack for our road. I became treasurer in 2010. I currently work for the Environmental and Heritage Protection Department as an administration officer.